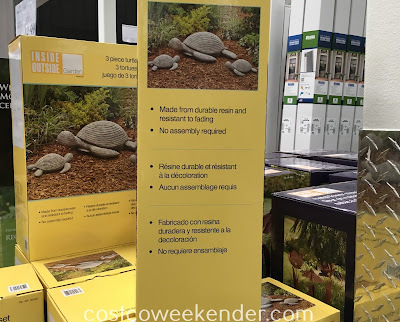 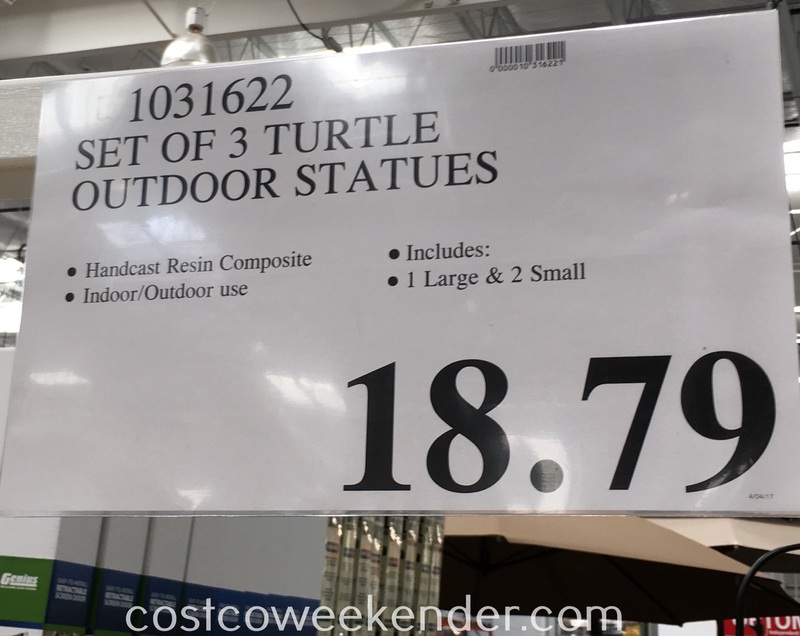 If curb appeal is what you're looking for when decorating your front yard or the entry way to your home, then consider the Inside Outside Garden 3-piece Outdoor Turtle Statue Set at Costco. 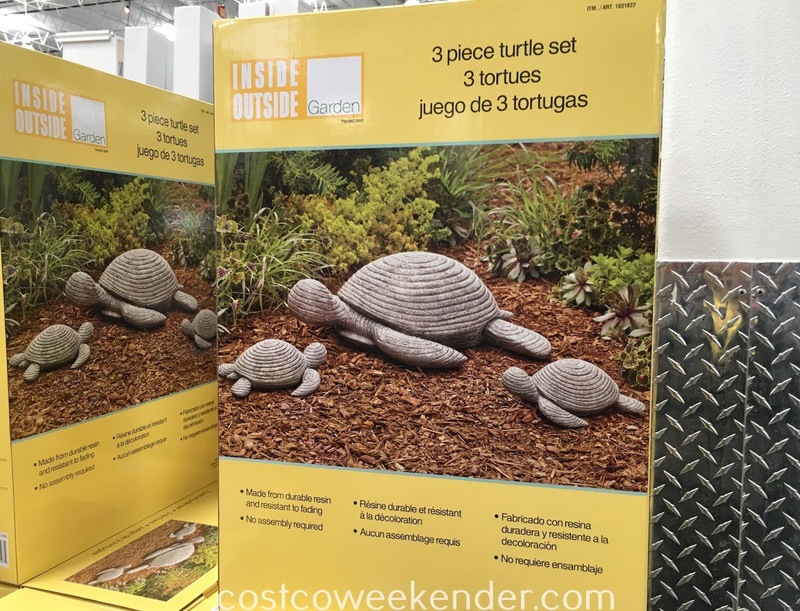 These cute little turtles will greet your guests as they reach over to knock on your door. These turtles can also serve as decorative items to give your backyard a unique and distinct look. And since they are made of a hardcast resin composite, the Inside Outside Garden 3-piece Outdoor Turtle Statue Set is resistant to fading so they will look as good as new for years to come.